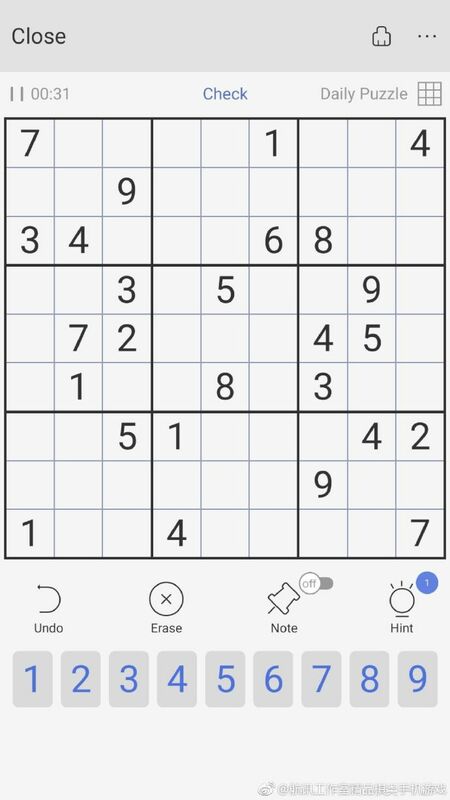 HangXun Sudoku, I found this app's puzzles is very interesting, and I spent 1 hour to solve this puzzle, but I give up last. 1. Design each puzzle professionally, guarantee high quality of puzzles. 2. 6 difficulty levels of beginner to evil, for both kids and expert. 3. Use hints and checks for puzzles which are too hard. 4. Turn on note mode to make notes as on paper. 5. 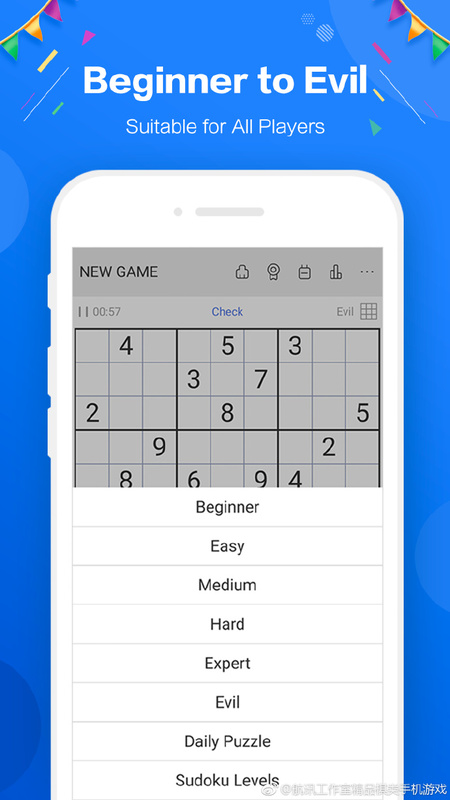 Daily Sudoku make you compete with global sudoku master. 6. 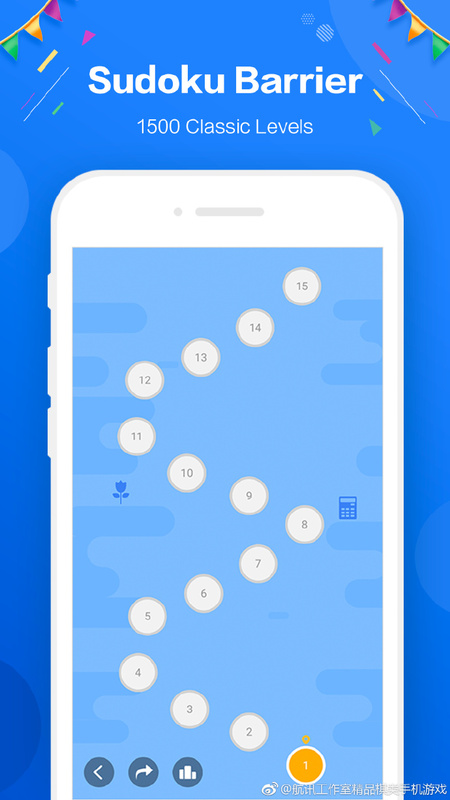 Sudoku barrier with 1500 levels from easy to evil, designed elaborately. 7. 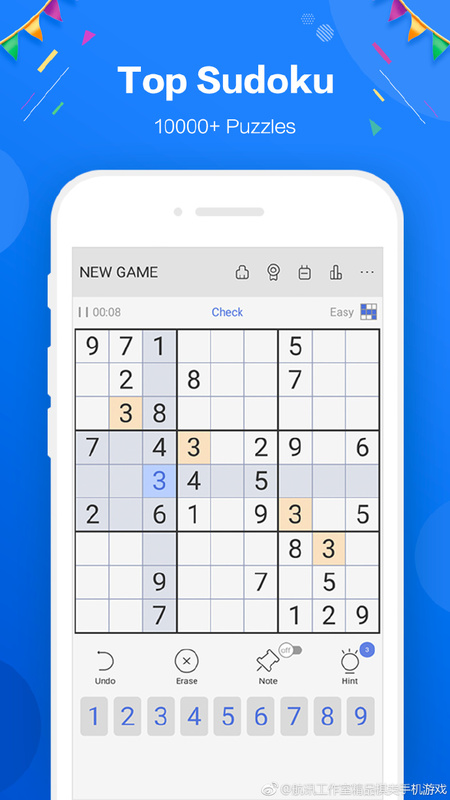 Sudoku Editor and Sudoku Solver, create your own Sudoku. 8. Support sunset and midnight themes, make eyes feel more comfortable. 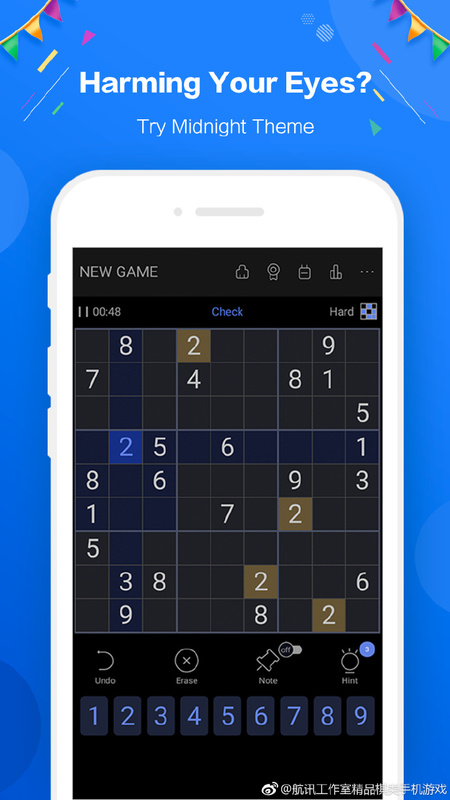 Your first puzzle is incredibly easy and solves with singles only. The diagram shows the pencilmark (PM) position at the end of a basic clue markoff. You can see that the 1 in r3c3 is the only one in Column 3 (or Box 1) and the 1 in r5c5 is the only 1 in Column 5 (or Box5). I've made some resulting eliminations, and you'll find that these will unearth more and more naked or hidden singles until the puzzle is fully solved. After a basic clue/solved cell markoff, I can see 5 naked singles in the cells marked with a #, and a hidden single 7 in r3c4, being the only 7 in Column 4, so I've just shown the eliminations for this one, marked *.